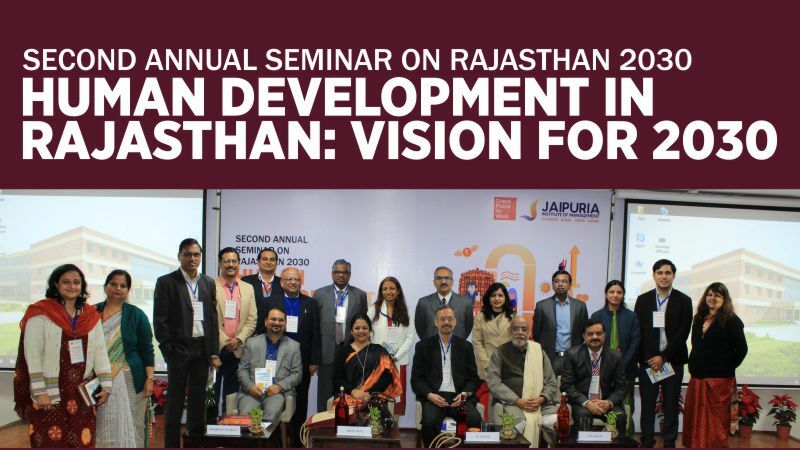 12 January, 2019, Jaipur: Jaipuria Institute of Management, Jaipur’s Second Annual Seminar on RAJATHAN 2030 was poised on the theme- Human Development in Rajasthan: Vision for 2030. The event witnessed academics and industry stalwarts discussing, analyzing and solving for various issues plaguing the growth of Rajasthan while celebrating the outstanding accomplishments of the state so far. 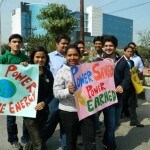 Dr. Sheila Rai, Principal St. Xavier’s College, Jaipur, Shri R Anand, Senior Vice President (HR), HCL Technologies Ltd. Noida, Mr. Arindam Lahiri, General Manager Human Resources, Samsung India, Mr. Aman Bharadwaj, Senior HR, Nissan Motors, Mr. Subrata Das, VP-HR Eternal Hospital, Mr. Rajnish Prasad, State Program Office, UNFPA, Prof. S. S. Somra, Head, Dept. of Economics, University of Rajasthan, Dr. Manish Vashishta, Associate Professor Chemical Engineering Dept., MNIT, Jaipur were all part of the Seminar alongside senior academicians, scholars and researchers of Jaipuria Institute of Management. In the inaugural session, Dr. Prabhat Pankaj, Director, Jaipuria Institute of Management, Jaipur laid emphasis on the importance of spiritual pursuit for human growth while Dr. V.P. Singh, Advisor and Distinguished Professor, Jaipuria Group of Institutions talked about the necessity of every Indian citizen to be informed and aware of their rights, duties, society and surroundings to help the country take bolder steps in terms of social and economic uptick. Dr. Sheila Rai drew from the historical context of Rajasthan and highlighted the milestones that the state is yet to achieve including gender inequality, hunger, healthcare and workforce. The inaugural session became even more interesting with Mr. R Anand, Senior Vice President (HR), HCL Technologies Ltd, Noida unveiling his book- Happiness at Work: Mindfulness, Analysis and Well-being to the audience of Rajasthan 2030. Followed by the inaugural session, Plenary Session 1 explored the topic “Human Development in the Context of Changing Nature of the Workplace,” and Mr. Rajnish Prasad presented the audience with various indices of Rajasthan. He talked passionately about Maternal Mortality Rate (MMR) of Rajasthan and indicated the state to be the highest (84%) in terms of MMR. Backing his statements with numbers and statistics, Mr. Prasad states- “a high percentage of women of Rajasthan are reported anemic. Also, our women are not digitally literate and have less access to online facilities. The Violence and Empowerment ratios of Rajasthan are also low compared to other states. A lot has to be done!” Followed by his riveting speech, the General Manager, Human Resources, Samsung India engaged the audience with interesting terminologies such as- Phablet, Heutagogy and Gig economy and described the new workforce to be boundlessly energetic and full of potential. Mr. Khemraj, Former Additional Chief Secretary, Animal Husbandry, Fisheries & Gopalan Dept. & Former Commissioner, Fisheries Dept. explained the important role of women in the progress of Rajasthan and Mr. Subrata Das shared his experiences of the nature of workforce in the medical and wellness industry. Mr. Aman Bhardwaj reiterated the concept of- “balancing is the key” and passionately talked about the importance of a healthy attitude to attain happiness in both personal and professional space. 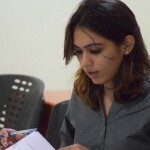 The Technical Session of the Seminar had 8 scholars present their research work on various interesting topics, such as- ‘Scholarship Trends of Women Researchers in Rajasthan’, ‘Sustainable Development – Rajasthan Vision 2030’, ‘Human Development in Education and Skill Development’, Exploring Energy Initiatives in Rajasthan,’ to name a few. The Plenary Session 2 was about- “Human Development & SDG’s in Rajasthan” and was chaired by Dr. Ashok Bapna, Former Member, State Planning Board, Govt. of Rajasthan and former President, NHRDN. The eminent panel members of the discussion were Prof S. S. Somra, Head, Dept. of Economics, University of Rajasthan, Dr Manish Vashishta, Associate Professor Chemical Engineering Dept., MNIT, Jaipur, Mr Prasuon Tripathi, VP, HR, Jaipuria Institute of Management and Dr. Prerna Jain, Associate Professor, Economics, Jaipuria Institute of Management. Legislations, role of policy makers, optimization of human and material resources, sustainable and environment-friendly business practices, industry innovation, responsibility of young citizens of the country towards attaining steady GDP growth, climate change, planet and people were among the highlighted topics of the second plenary session of the Seminar. Jaipuria Institute of Management’s students, academicians, alumni and staff work closely with various governing bodies of Rajasthan and actively engage in planning and execution of events and exercises to make India, a better place to live in. 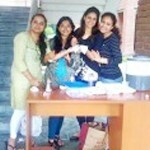 How we put our classroom knowledge to start a business venture on Friendship Day!